Standing at the gateway of feeding the church with her vocabulary of worship are Bethel Music, Darlene Zschech, Jesus Culture, Housefires, Chris Tomlin, Hillsong Worship, Matt Redman, Passion Worship and Gateway. These are the teams and artists that have been most influential in shaping the church's praise. Thus, any release coming from these names are paramount in terms of their theology and musical expressions. Gateway finds its origin at Gateway Church in Southlake, Tex., one of the largest churches in North America ministering to nearly 40,000 attendees across multiple campuses and thousands more online each week. 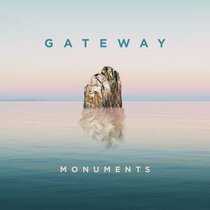 Over the years, Gateway has had provided the church's worship soundtrack by gifting us with staples such as  "Oh The Blood," "The More I Seek You," "Come Thou Fount, Come Thou King," "You, You Are God," "Revelation Song," "Grace That Won't Let Go" and many others.